If you can already solo level 40+ missions, please ignore this guide. If you're new or just can't seem to get past Jupiter (like me during my first whole year in warframe), then please have a read. This guide was written to let new players know how to counter different types of enemies in terms of dealing damage and also surviving against them. I'll try to keep this nice and short but forgive me if I end up spewing out huge chunks of texts. Orb Vallis Conservation for Floofs and Profit / Hunting Guide. Mesa, Akjagara and Redeemer Prime Drop Locations. Easy and Fast Way to Grind Standing for Vent Kids. Does the situation below sound familiar to you? Why am I only doing (insert small number) points of damage per bullet when I modded it for (insert stats as shown in arsenal) points of damage? If you said yes, don't worry, your eyesight isn't going bad or anything. You're simply just not modding your items correctly (or not using the right weapon for the right job). Modding in warframe can be very confusing for new players, especially when you have no idea how to actually interpret the information given to you. But fear not, I am here to give you a solution to that (sort of, don't report me if it doesnt work that well). Now, Enemy health are generally split into 3 types: Armoured, Shield, and Flesh. Each of these types of health have DIFFERENT weaknesses. With different types of health, there are also different factions of enemies you will face as you conquer the star chart: Grineer (ugly boiz), Corpus (Cubic helmets), Infested (What is this mess), Sentient (Advanced boiz), and Natural (wild animals you see on earth and other places i dunno). Note that I did not mention the Orokin faction because they are a mix of infested, corpus, and grineer. As a beginner or someone who's clueless, just focus on grineer, corpus and infested for now. Now I know what you're probably thinking, Why would I use these mods?, they only do their assigned damage when I trigger a status proc. To that I say: Wrong! Elemental damage as shown on your weapon will still be dealt to the enemy, the status proc is just the extra fancy effect the element has. Speaking of status procs, below is a list of all the elements and what they do when you trigger their status proc. Heat: Sets the enemy on fire, deals damage over time (DoT) and causes them to stagger for a short period. Electricity: Causes the enemy to stagger for a longer period compared to Heat. Corrosive (Electricity+Toxic): Reduces enemy armour value (pss, use this for grineer). Blast (Heat+Cold): Causes enemies within the affected range(~5m) to be knocked down. Viral (Toxic+Cold): Halves the target's Max and current health. Radiation (Electricity+Heat): Causes the target to attack anyone they see regardless of faction. Gas (Heat+Toxic): Deals DoT in an AoE(Area of effect) manner. So...you dont have those fancy elemental mods yet? Don't worry, physical damage are here to help, and oddly enough, there are only 3 of them and each one of them are designed for a specific type of health. This should be pretty straightforward, you cut things in half and stuff, this type of damage works great against flesh. Proc effect does DoT to the target. I dunno the logic behind this but I guess you give them a ram to reduce their shields faster(? ), impact damage are more effective towards shields, its Proc effect makes the enemy stagger and fall back a bit. Think of this like AP (armour piercing) rounds, as the name suggests, puncture damage are more effective against armour. Puncture damage's proc effect makes the target do 30% less damage while affected. Like elemental mods, there are also mods out there that increase your physical damage, but the common ones don't give you much, so I wouldn't recommend you to even bother using them. If you're gonna use them, use the rare ones. What Damage to Use on Who? Now that you know most of the damage types, what types of damage do you use on who? As mentioned earlier, different types of enemy have different types of blah blah blah... you get it. Just kidding (please don't report me), below is a list that tells you what type if damage I usually use for different enemies. Corpus: Magnetic, Impact, Slash, Toxic. But really though, use your brain here a bit, and just experiment around, because while theres all these elements, I tend to only use radiation and viral for most builds. Most weapons split into 3 types of categories (no im not talking about primary, secondary, and melee): High crit, High Status, or a mix of those two. Important: Before you start experimenting with modding, always check the weapon's physical damage stats (if its got any that is cuz some weapons only dela elemental i.e. Lanka). Theres no point modding a Puncture based weapon for a corpus mission even if you got lots of elemental damage (you get the point: try to maximise your weapon's potential. Semi-introduction to modding: Before you start adding other fancy mods, I strongly recommend you to apply these two types of mods first: Basic damage mod(Serration, Hornet strike, Pressure Point), Multishot mods(for primaries and secondaries). These weapons usually rely on higher base damage and crit chance as they won't trigger much status(i.e. Soma/Prime). For these weapons, I would recommend you to put the basic elemental mods(uncommon grade, not the dual stat ones) as they give more elemental damage than the dual stats at 90% compared to the dual stats' 60%. Aside from the elements, also slap on a critical chance mod (Point strike, True steel, etc) and a crit multiplier mod if you can(target cracker, organ shatter, etc). These weapons usually rely on the status procs to finish off enemies at a faster rate (i.e.Detron). for these weapons, I would recommend you to put on dual stat elemental mods(ones that add status chance and elemental damage within the same mod) first before you put on pure elemental mods as this allows the weapon to trigger status procs more often. Sigh...How do i put this, for these types of weapons that have both high status and high CC, you just gotta experiment and see which one fits you more as different people have different playstyles. i.e. Tiberon prime has High Crit chance on semi fire while it has higher status chance on full auto. The secret to not dying. Pss, are you always running low on health but have no health orbs nearby or health pads at your disposal? Seriously, this thing is underrated by new players because of this one word: Channeling. What is channeling you ask? As the name implies, you channel your energy into your melee weapon to do more damage and with [Life strike], steal health from your enemy depending on how much damage you do. The amount of extra damage you do is decided by the channeling multiplier as shown in your arsenal section. I know this sounds like a bad thing but trust me, all that energy you save up is gonna be useless if you die cuz your energy resets when you respawn, you might as well use it to save your ♥♥♥. Here's another secret: [Rage] or [Hunter adrenaline] (converts damage done to energy) + [Life strike] = Immortality. Since youre basically generating health, which generates energy for generating more health. So, you can mod your weapon properly now, but as someone once said(I think, I dunno): A weapon is only as good as its user. 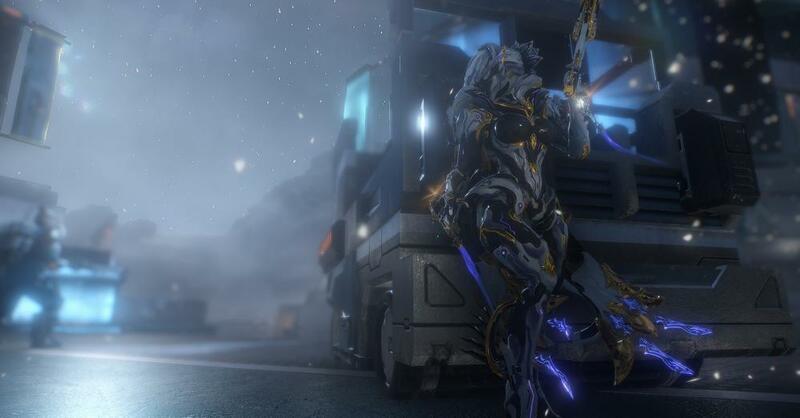 Warframe modding is another thing that new players tend to overlook cuz they usually think "why bother if they can't even scratch me before I kill them?" Good luck saying that to a level 150 Bombard when you stay in sortie survival for an unnecessarily long time. Much like modding weapons, modding Warframes are also situational. meaning that you mod according to your needs and the warframe's stats/abilities. Increases your maximum shield capacity. Increases your energy efficiency, meaning that you require less energy to use abilities. Increases your ability range for abilities that have a limited range. i.e. putting this on excalibur can make his slash dash distance further. Increases your ability strength, this means abilities that add stats in any way will add more for the same amount of energy you use. I.e. Put this on Rhino and his iron skin will have more hit points,his rhino stomp will also do more damage. After you put on these mods you should have 2 slots left(1 normal, 1 exilus if you've used an adapter), and your warframe should have 130% ability strength/efficiency/duration and 145% ability range. It should also have an increase in health and shield(if its got any shield that is). If you somehow cant fit both Vitality and Redirection onto your warframe at the same time, Vigor is a good mod to use as it gives you both health and shield in 1 mod, but not as much as those 2 mods. Now you might see a mod slot on the top with a weird circular icon, and you might've tried to put in a normal mod into that slot. Chances are, it wont fit. That slot is reserved for a set of mods called Aura mods. Aura mods are mods that give your entire team a passive boost, and the boost is depended on the mod. Aside from the passive boost, they also give you more mod capacity, so you can use them to increase your mod capacity first if you dont have an Orokin Reactor (yellow potato). Hey, you. Yes you, you see those weird symbols on the top right corner of each mod and mod slot? guess what, they matter. Mod polarity is another important step in modding your gear correctly, and this doesn't just apply to warframes, this applies to everything you mod. Putting a mod into a mod slot with the corresponding polarity will Halve its cost on your mod capacity(I know, what a great bonus). For example: Redirection at max rank costs 14 capacity(yikes), but if you put it into a mod slot that also has the same symbol as itself(shown on the top right corner of the mod), it will only cost you 7 capacity. This is how people manage to fit a whole set of mods that have a total capacity of >60 into a warframe/weapon/companion. Mods too big to put in but theres no polarity slots left? You might be thinking: But my warframe only has 1 polarised slot, how can i fit all my mods then? Introducing Forma, Forma allows you to manually add a polarity slot onto an item once it reaches level 30. But Beware tenno, are you ready for a sacrifice? (credits to Vay Hek for the quote). Every time you put a forma onto an item, it resets its level to 0, which could be a bit annoying for new players due to their low mastery rank, So I recommend that you touch on this as you progress further into the game when you actually need it.